You don't get to say that often. Does anyone have a leap day birthday? I'm pretty sure my late grandmother had a leap day birthday. She was born in 1920, but she always celebrated her birthday on March 1st. I don't really think much about leap day, but I'm pretty sure it should be considered some type of holiday. I mean you only get it every 4 years, and that's pretty special? Anyways, I have another Model City Polish to share with you today. This brand is "new to me" as of a few months ago. I've known about the brand, but I just recently purchased some polishes. It's definitely become a brand that is on my love list since trying it out. 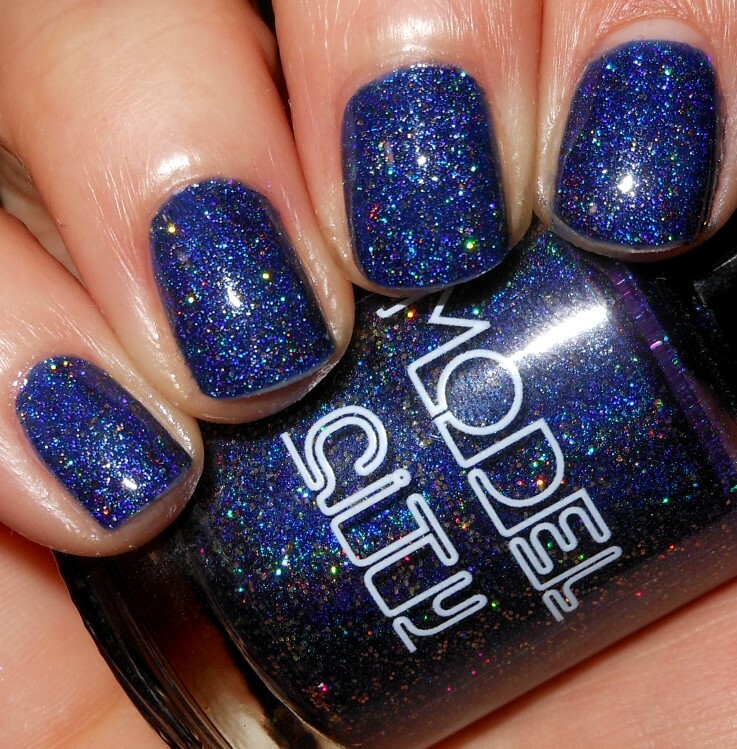 Cosmic Lovers is a rich blue base with holo pigment and gold holo glitters. Color: I love a rich blue. Blues like this are among my favorite types of colors in nail polish. This is a stunning jewel-toned blue and I love the vibrancy of the color. 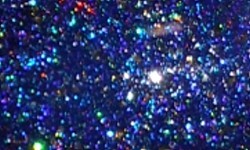 I also love the holo pigment and that gold holo glitter. I've said it thousands of times and I'll say it again. I love cool-toned colors paired with gold. It is such a luxurious color combination and this is gorgeous. Formula: This has an excellent and easy to use formula. I used 2 coats above. Price: This is $11 on Model City's etsy site. Overall: Of course, I love Cosmic Lovers. It's one of my favorite nail polish colors and it has gold holo glitter. This a stunning nail polish color paired with an excellent formula. I love thoughtfully made polishes. You can tell there was some love put into this polish! This is a must have polish in my opinion.